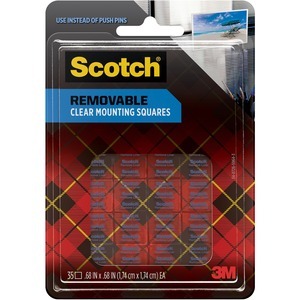 Double-sided mounting, removable squares hold securely yet removes easily from most surfaces. Mount artwork, posters, banners, signs and more. Foam squares adhere to painted cinder blocks, varnished wood, blackboards and glass.